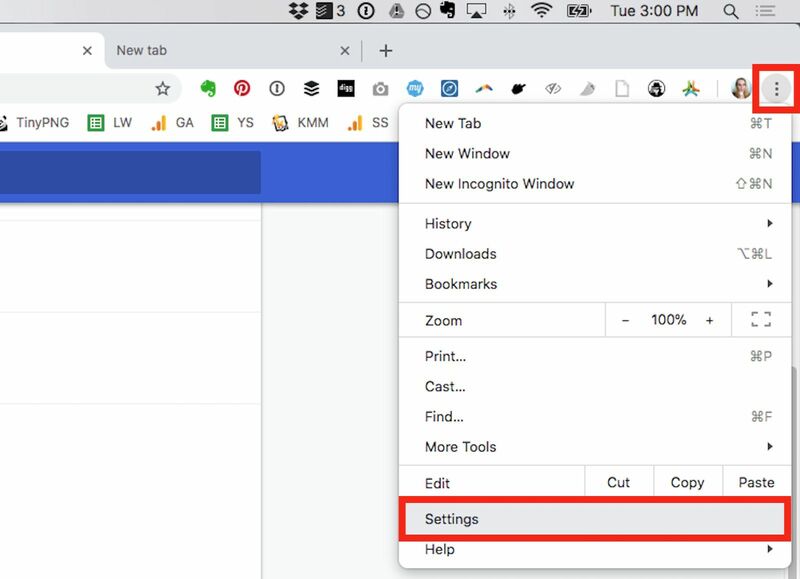 Learn how to change google background and set image on the background.Google redesigned the user interface of Chrome browser with the version 69 release. There are good looking features like rounded tabs and option to set the background image. If looking the white background bores you then learn how to change Google Chrome background without any extensions. Google Chrome is one of the most popular web browsers currently available, with lots of different customization options. One of the best ways you can customize your Chrome web browser is by changing the background colors and images to fit your taste. Follow the steps below to learn how to change your Google backgrounds in Chrome. Click the thumbnails to preview different themes. When you find a theme you’d like to use, click Add to Chrome. The theme will be applied immediately. If you change your mind, at the top, click Undo. If these steps don’t work, you could have malware. 1.Access your Chrome browser settings. Open your Chrome web browser and select the three vertical dots located in the upper right corner of the browser. Then select Settings from the drop-down list. 2. Open the Chrome Web Store. Under the Appearance section in your Chrome Settings tab, look for Themes listed near the top. 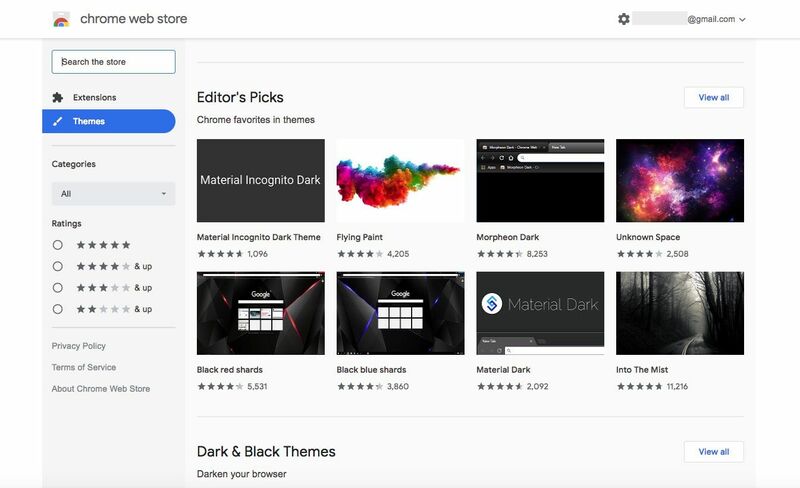 If you don’t already have a theme installed, you should see Open Chrome Web Store listed below it, which you can select to open it. If you have a theme background already and are just looking to change it, you’ll have to remove it first by selecting the Reset to default button to the left of Themes and the theme named listed below it. Once removed, you should see Open Chrome Web Store replace the previous theme name, which you can then select to open it. 3. 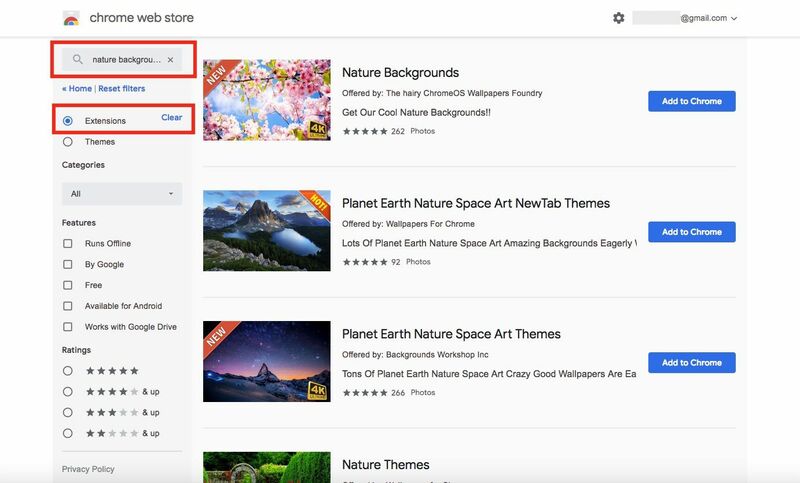 Search the Google Store for themes. Look through the Editor’s Picks at the top and scroll down through the other groups of theme backgrounds. If you’re looking for something specific, use the search bar in the top left corner. You can also search by category and rating. 4. Add the theme background to Chrome. Once you’ve decided on a theme background, select it, then select the blue Add to Chrome button in the top right. It will be applied to your Chrome web browser automatically. You might notice the colors at the top of your browser change depending on what kind of theme you chose – like a darker one. If not, try opening a new tab or window to see the theme background image and colors. 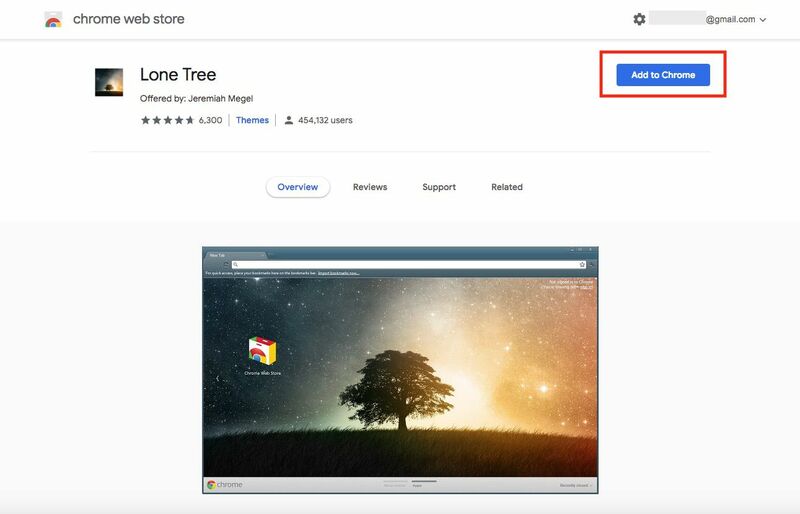 You can get additional features for your Google background by looking at other third-party Chrome extensions. Just head back into the Google Chrome Web Store, select Extensions and use the search bar to do a simple search for “backgrounds” or something similar. For example, the extension Live Start Page – Living Wallpapers offers a bunch of extra features that simple Google theme backgrounds don’t. In addition to static backgrounds, you can get live wallpaper backgrounds, a relaxing meditation mode, the current weather forecast, a clock, and a to-do list. When you pick a background extension, all you have to do is select the blue Add to Chrome button. Did you know you can change your Gmail theme background separately from your Google theme background? Sign in to your Gmail account from a web browser. Select the gear icon in the top right, then select Themes in the drop-down list. A window of theme images will appear over your inbox. Scroll through the theme backgrounds and select any to instantly see it appear as the background. Select the blue Save button when you’re happy with your new theme background. Can you post more along these lines? It’s proven extremely useful to people.